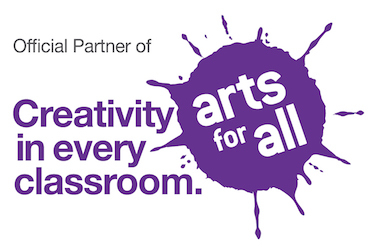 Drama Education Network is part of the Arts for All network (recently renamed the Arts Ed Collective) as a provider of Programs for Educators and Students in Los Angeles County. Our professional development trainings and school residency programs have been reviewed, vetted, and accepted into the network by a distinguished panel of California arts educators. School districts that are already part of the Arts for All network can choose to use their grant funding to purchase our curriculum products, teacher training services, and school residencies. Products and PD services can qualify as part of a professional development plan for teachers to learn how to integrate the arts into the classroom, move from STEM to STEAM, or differentiate instruction through the arts. To learn more about how to obtain Arts for All grant funding, go here. All programs can be customized to meet your needs. Contact us for a free consultation to help you design a successful Arts for All program. we are making plans to expand the program for next year! Mr. Basom's modeling in the classroom was outstanding. Teachers and students learned so much while having fun! made it easy to work with Drama Education Network."